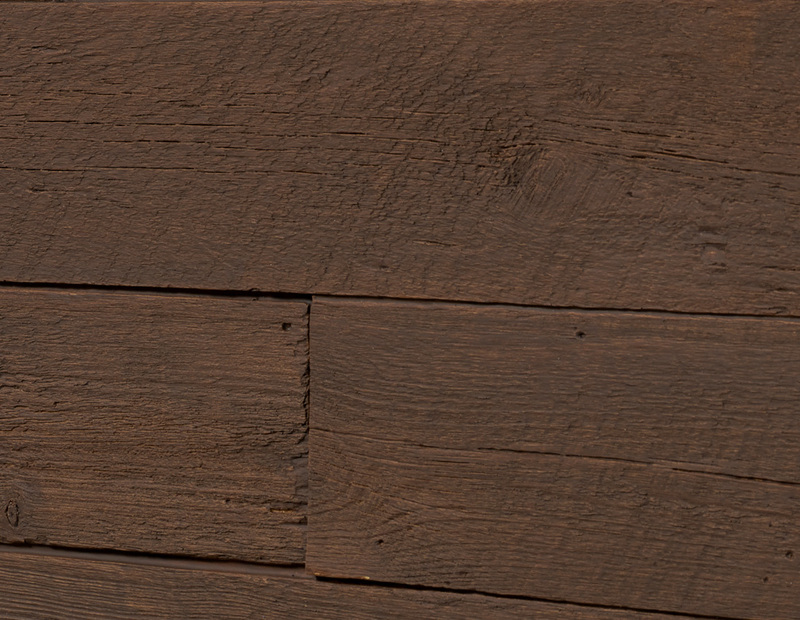 Creating a cozy farm house setting from days past, or adding rustic charm to a project, has never been this quick and easy! 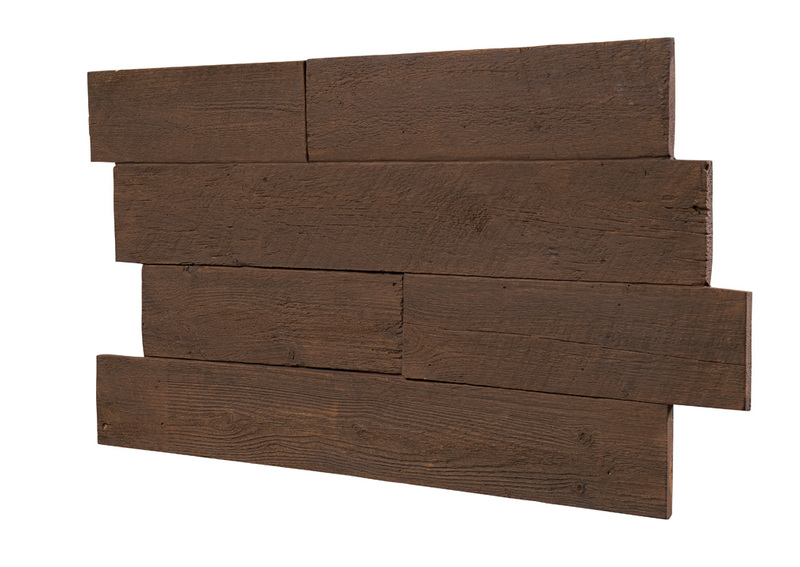 Our easy-to-install, interlocking Rustic Barnwood panels are a extraordinarily realistic alternative to traditional barn wood, and with our wood paneling you'll never need to worry about rotting, splintering, or fading again. 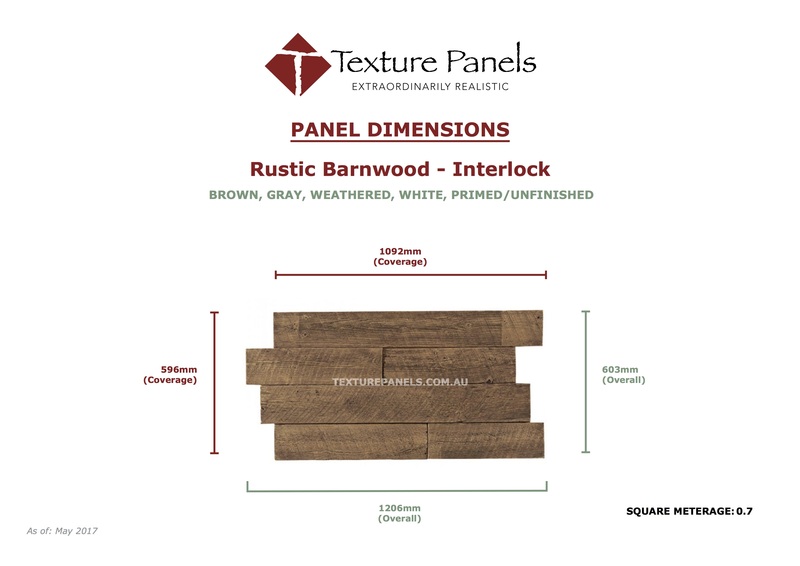 Each panel has a coverage of 596mm tall, 1092mm wide, and 13mm to 16mm thick and comes in an easy-to-install interlocking design. 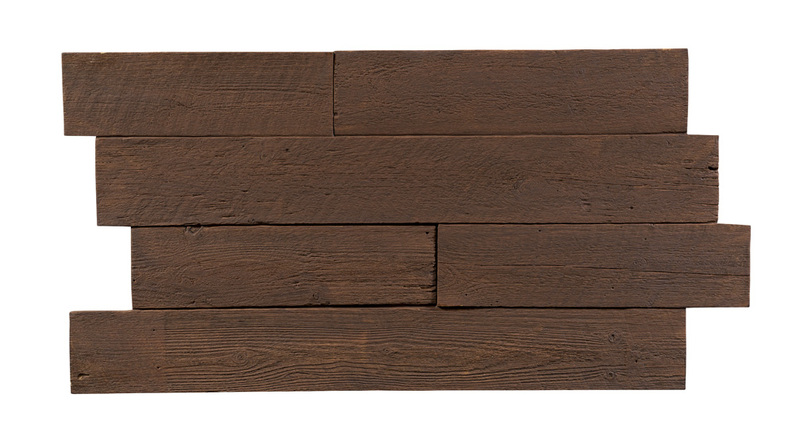 Just slide the faux panels together for a seamless barn wood finish!